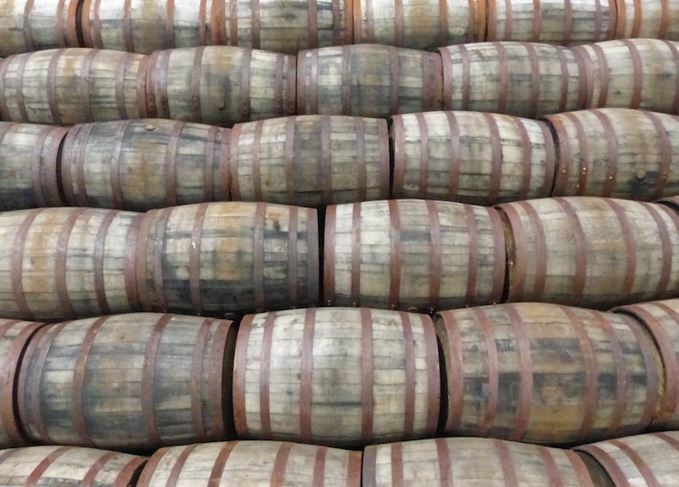 After three consecutive years of value declines, Scotch whisky exports increased last year, thanks to the continued success of single malt, and the performance of an increasingly significant US market. Richard Woodard investigates. There was a lot of talk in the run-up to last June’s Brexit vote about how dangerous leaving the EU might be for Scotch whisky exports. But, while the UK hasn’t departed the EU yet – and won’t for some time – the immediate impact appears to have been positive. A plummeting pound has made the UK’s exports more competitive, and may well have aided Scotch whisky’s international recovery. After three consecutive years of value declines, the news this week (via HMRC numbers crunched by WhiskyInvestDirect) that Scotch whisky exports rose 4.1% by volume and 3.3% by value will have come as a relief to an industry that has long been looking for those proverbial green shoots of recovery. The ‘Brexit bounce’ argument is lent credence by the pattern of that recovery – shipments by value fell in the first six months of 2016, but rose 6.8% in the second half of the year – but two other factors were arguably even more important: single malt and the US market. The Scotch whisky industry is always at pains to point out – and rightly so – that blends remain the bedrock of its business. Even last year, more than 90% of the whisky that left Scotland for overseas markets was blended, but the value picture is very different: distillers now earn more than 25% of their overseas revenues from single malt, which exceeded £1bn for the first time in 2016. Meanwhile, the blends resurgence was less than spectacular: up 2.2% in volume terms, but edging up only 0.3% by value. A fragile recovery indeed. In terms of the countries where Scotch is sold, the US performs a similar role to that of single malt. While it lags well behind France in volume terms (33.2m litres of pure alcohol (lpa) in 2016, versus France’s 52.7m lpa), that liquid is worth more than twice as much: £855.6m in 2016, compared to France’s £416.2m. Scotch increased its revenues by more than £100m in the US last year; strip out that gain and the global rise in value would have been negligible. Having said that – and with the usual proviso that all of these figures refer to product shipped, not bottles sold or whisky consumed – there were plenty of reasons to be cheerful in the 2016 export figures. Of the top 20 markets, 14 registered volume gains and 12 value increases. All of the top six countries received more bottles, and seven of the top 10 returned higher revenues. Beyond the US, there were encouraging gains in Singapore, Germany, the UAE and Australia. And Spain. Spain. Scotch’s darling export market of the 1990s and early 2000s has finally woken from its slumber, a resurgent bar scene translating into an 8% volume rise and a 7.5% value increase. There was also a similarly nostalgic return to form for Japan, bounding back into the top 10 markets by volume. India continued its march, with double-digit volume and value hikes – just imagine what might happen if the country’s punitive tariffs might somehow be cut – while Poland confirmed its promise with similarly spectacular increases, albeit off a smaller base. That’s the good news. Singapore and India aside, Asia provided few bright spots, thanks to declines in Taiwan, Thailand and an apparently mortally wounded South Korea, where the fashion for lower-abv spirits led to another double-digit shipment decline. Mexico – a market that has been one of Scotch whisky’s stars in recent years – registered an unexpected value decline (but with a slight gain in volumes), and the continued economic and political turmoil in Brazil brought further losses. It’s a similar story in South Africa, another market that has shown good promise in recent times, where double-digit declines in both value and volume probably owed as much to the stuttering economy as to any lack of fashionability on the part of Scotch. And it’s worth remembering that when analysing the global performance of a £4bn export industry like Scotch whisky. Its sheer scale leaves it at the mercy of global economic and geopolitical events, particularly in the often more volatile environment of developing markets. But, at the same time, that weakness can also be a strength, with Scotch’s global presence providing a natural hedge: if a few markets disappoint, the chances are that several more will provide grounds for optimism. That was certainly the case in 2016. Now the Scotch whisky industry will hope that this is the beginning of a new period of fresh growth, whatever challenges are presented by the uncertain world in which we all live in 2017.